Water Conditions: Deep water, choppy, cloudy/muddy water, no waves. Launching spots: grass/sand beach. Limited space and trees close by. Assisted launching recommended. 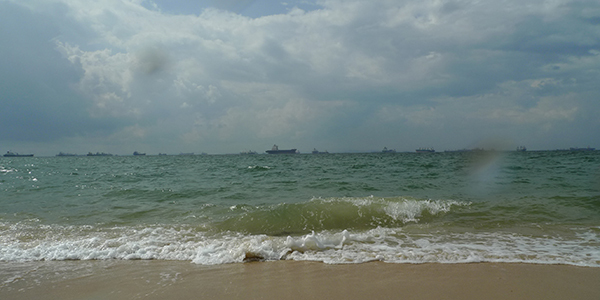 Hazards: Wind dying, ships, current, submerged debris. The most eastern kiting spot, Water Venture caters mostly to windsurfers but there are usually a bunch of kitesurfers waiting around the club for wind. Officially kiteboarders are supposed to kite to the beach east of the main windsurfing beach in front of the club. But most kiters will favour the beach to the west, which has more space for launching and landing. There are signs in the area saying ‘no kitesurfing’ due to being within 5km of the airport but they are not strictly policed. 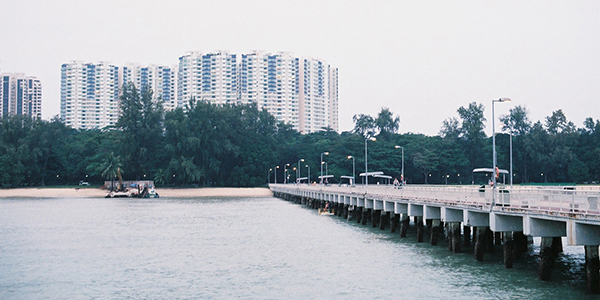 How to get there: Drive or take a taxi towards the East Coast Park Seafood Centre. From there continue east on the Service Road to the PA East Coast Sea Sports Club. Beware that you cannot approach from the east as there are no exits from the ECP. 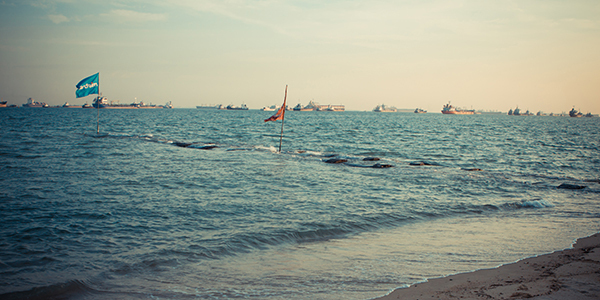 Characterised by large pagodas with pink flowers, Sunset Bay has similar conditions to the Sea Sports Club but with more area for launching and landing kites. The small restaurant nearby makes the wait for wind slightly more bearable. Launching area is mostly grass with fewer trees than other parts of ECP. How to get there: Same as above, just stop in car park F before you get to PA Water Venture. Typical East Coast conditions, as above. Would highly recommend kiting downwind of Bedok Jetty depending on the wind direction, as it is quite probable that you will not always to able to stay upwind. How to get there: Not as accessible by car, this spot is favoured by those living in nearby condos and cycling or walking into the park. Closest car park is car park F1. If driving, take East Coast Service Road just past the East Coast Lagoon Food Village. Situated in front of the East Coast Lagoon Food Village, this is the site of the old Mana Mana Beach Club. 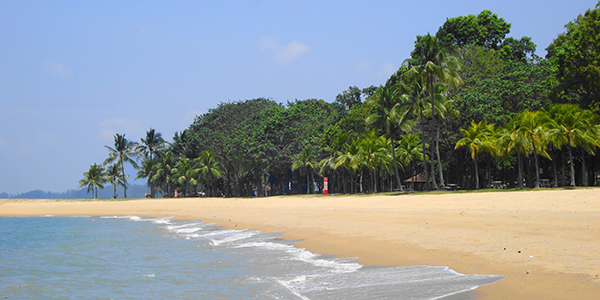 The beach just to the east has the most space for launching and landing kites, as well as the best chance to get shallow water on East Coast Park as the gradient of the beach is not quite as steep as it is in other areas. How to get there: Accessible via East Coast Service Road. The closest car park is right next to the East Coast Lagoon Food Village. Best live wind readings from around Singapore. Bookmark this!